Since Nepal is home of snowy mountain Peaks; climbing in Nepal is one of the main popular Himalayan activities destinations in the world. 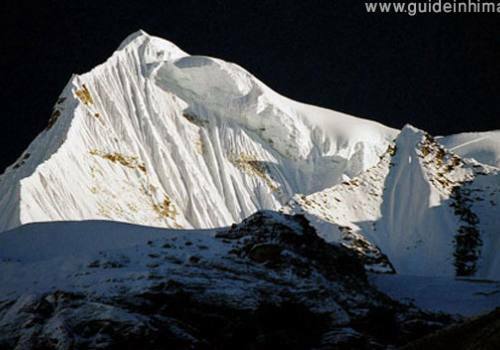 Guide in Himalaya provide you the finest peak climbing permit, expert peak climbing guide and support crews, system and rules for the mountaineering. We have always been providing that preferred and pleasant information services to the respected adventure trekkers and climbers. There are 1310 Himalayan peaks over 6000m offer you joy of mountaineering which can be combined with the delight of trekking and expedition. 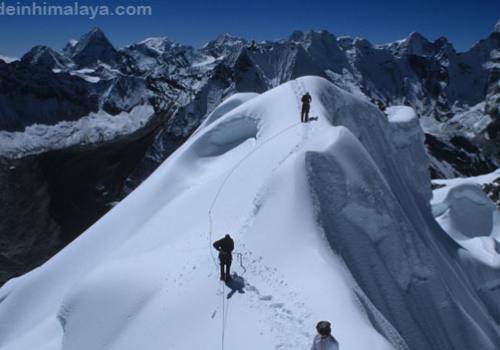 It should be noted that in most cases the climbing of these minor Trekking Peaks required snow and Ice climbing experience. For climbing the peak you do not have previous experience however the climbing team need to be prepare mentally as well as physically for the adventurous climbing. 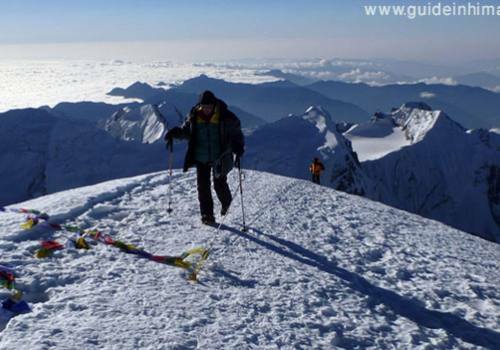 All mountaineering trips are run with Professional Mountain Guides and Sherpas. We provide first-rate services for our clients and make their trek and climbing is so simple and easier one. Guide in Himalaya provide any support of any kind of trekking Peak and obtaining permission, providing support including high altitude climbing assistants, porters and other necessary arrangement. 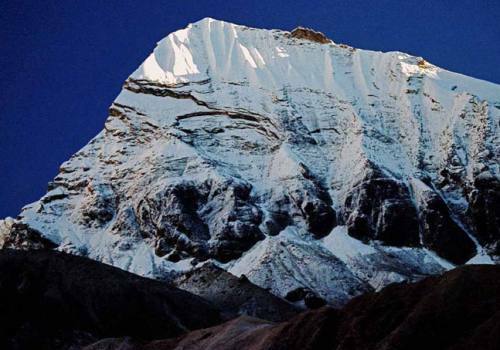 Adventure tourism in Nepal had begun with early attempt to scale the world’s highest peaks. Since Nepal is home to most of the world’s highest peaks, adventure enthusiasts become increasingly fascinated with the especially by the limitless opportunities afforded by the country’s natural settings to indulge in varied adventure activities and sports. It has come a long way since. The Nepal Mountaineering Association (NMA) has categorized the mountains of Nepal into various classifications, one of these being called trekking peak or Group B Climbing Peak as per the NMA. A trekking peak is a mountain under 7,000 meters (22,970 ft) that is considered climbable by anyone with a moderate amount of mountaineering knowledge and skills. While some can be climbed without crampons or an ice axe, most require use of this equipment. In order to attempt a trekking peak, a climbing permit (non-refundable) must be obtained from the NMA in Kathmandu. 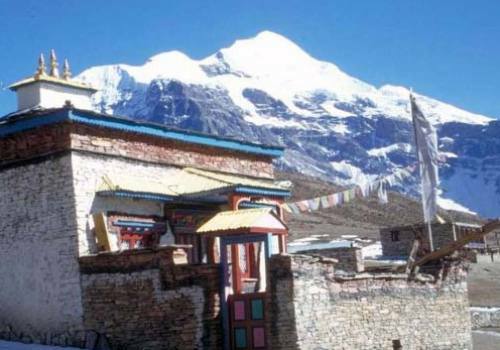 Peaks above 7,000 m are categorized as expedition peaks and demand much higher permit fees. Apart from the usual trekking and mountaineering activities, entire range of other possibilities has been explored in the recent years. This varied landscape and topographic configuration has created some of the world’s best settings for these activities. Trekking, mountaineering and rafting are the popular adventure activities in Nepal. Paragliding, mountain flights, hot air ballooning, ultra light aircraft, bungee jump and mountain biking are the other aerial activities in Nepal.